SALE on One Kings Lane! That’s right for the next 3 days you can nab select artgoodies organic tea towels and aprons at killer prices! Buy fast, items sell out quickly and are available in limited quantities at this special pricing! Click HERE to shop! EXCITING PRESS! 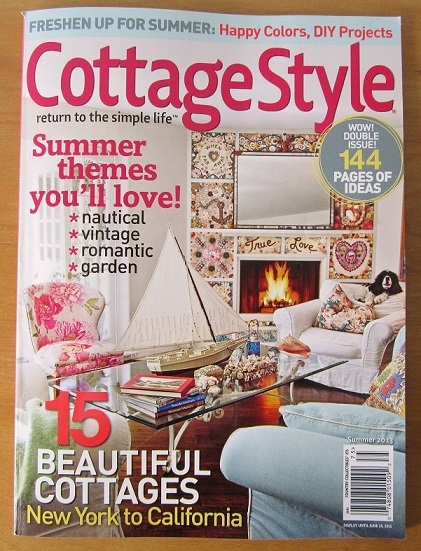 Cottage Style Feature! 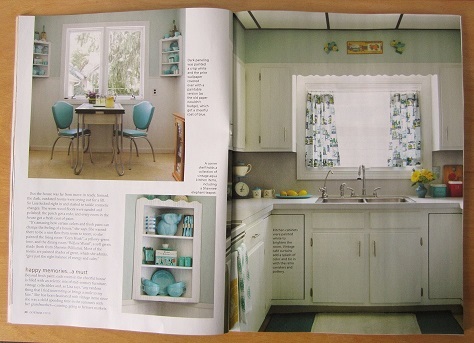 I’m beyond excited to finally share with you that my house is featured in the Summer 2013 issue of Cottage Style Magazine! 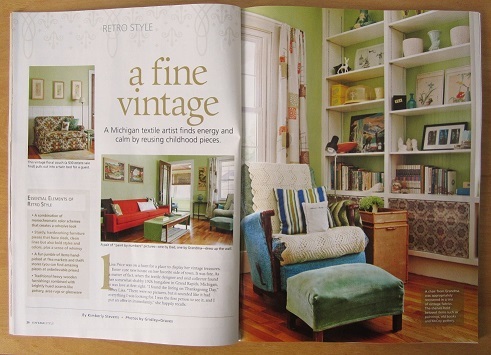 That little asterisk on the cover that says vintage, that’s my house! 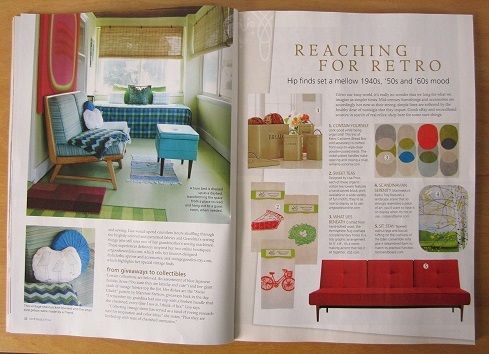 It starts on page 26 and ends on page 33 with an artgoodies 3 towel feature! YAY! color of the month-Hello Yellow! 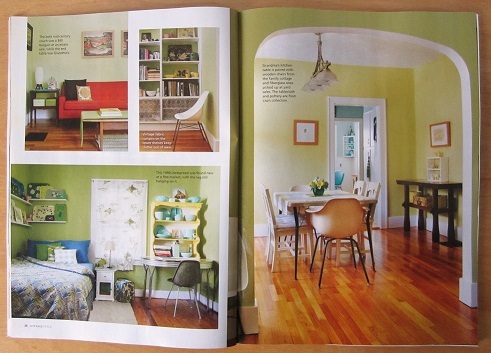 I’m ready for Spring and sunshine so yellow seemed an appropriately cheery color of the month! Lots of fave items this month! Hard to find melmac Russel Wright berry bowls and salad plates and the amazing Blisscraft of Hollywood full set of yellow plastic bowls. 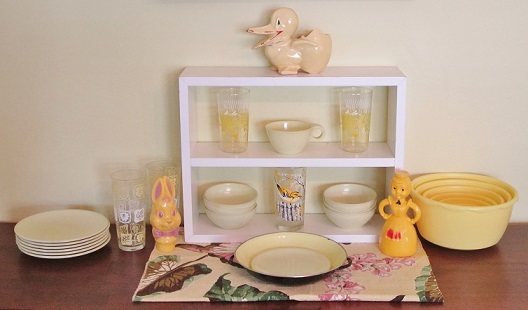 Kitschy bunny bank and lady sprinkler, awesome glassware, vintage barkcloth fabric sample, and McCoy duck planter. Lots of it available in my vintage shop too! 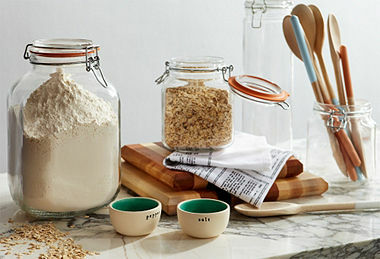 Featured: Hard to find Russel Wright melmac berry bowls and salad plates. Awesome new old stock glassware and Lustroware pitcher. 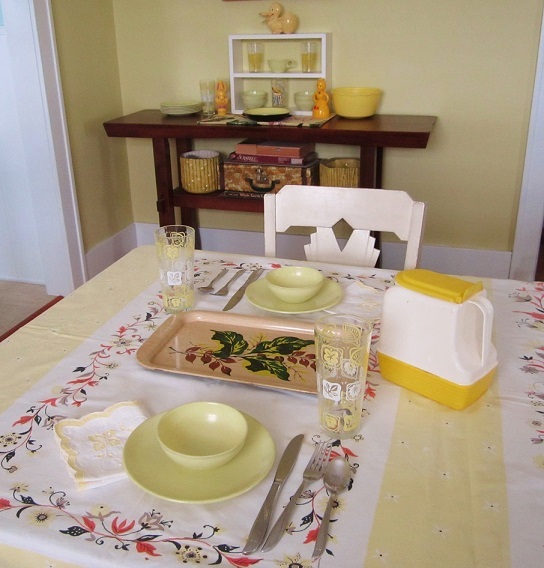 Great mid century tray, cute vintage napkins, and another fantastic vintage tablecloth!